We often hear stories of brave Christian men and women who reached millions for Jesus, but how often do those stories leave us discouraged and deflated? They seem so far removed from our present reality of spaghetti dinners and car pick-up lines. We could do so much more Important Stuff if we didn’t have to also be a spouse, parent, neighbor, employee, churchgoer, and PTA member. Or so we think. Our heroes of the faith may seem like saints who had it all together. 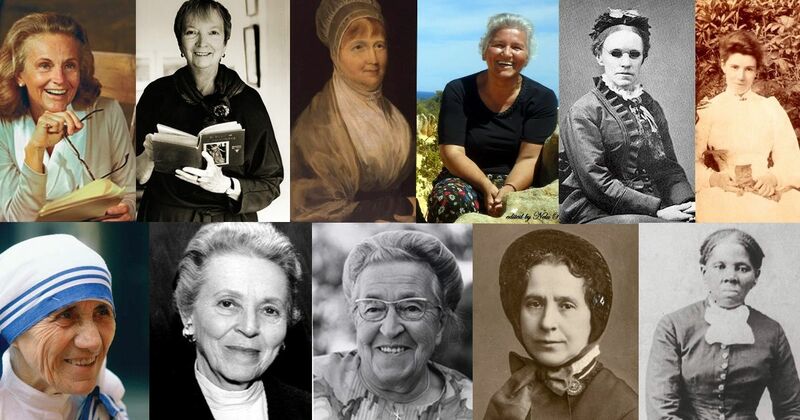 But look more closely at the lives of these 11 Christian women who shaped history, and you’ll find that they were a lot more like you and me than we think. Elizabeth was a champion for prison reforms, advocating for more space, food, and clothing and launching an education program. But hers was not an easy life: Elizabeth was also a wife, mother, and Quaker minister who battled bankruptcy and church stigmatization. She had plenty of reasons to give up, but she relentlessly pursued her life calling, earning her the nickname “angel of prisons” influencing prison reforms all over Europe. To run away from a slave plantation is an act of bravery in itself. But Harriet did the unthinkable when she returned multiple times to lead 70 slaves to freedom and coordinate the escape of 50 more. Besides her famous role as the “Moses” of Underground Railroad, served as nurse, scout, and spy in the Union Army during the Civil War. Though an unsung hero most of her life, Harriet stayed true to her mission, knowing that she answered to only one Master, and He would approve her work. That was all that mattered. Once a timid child, Catherine channeled her fears into reaching the outcast with the Good News of Jesus, one person at a time. A noble calling, but one she always juggled with the roles of wife, mother, and preacher. She lavished love onto the unwanted, playing an instrumental part in the explosive growth of her husband’s ministry, the Salvation Army. And if you see a plethora of red kettles at Christmas, it’s a testimony to the power of giving God our fear and doing the next brave thing, just as Catherine did. A child prodigy with an amazing memory and an ear for music, Fanny wrote more than 9,000 hymns in her lifetime, including the popular “Blessed Assurance” and “Tell Me the Story of Jesus.” She also memorized the Pentateuch and the four Gospels by the time she was ten. Oh, and she was blind. Fanny firmly believed that with God’s help she could overcome any obstacle, and that she did. Besides writing hymns, she worked as a teacher, writer, speaker, and mission volunteer. Her life demonstrates the simple truth that when we are weak, God is strong. A single-minded woman, Amy set sail for Asia at age 26 and lived as a missionary to the Indians for the rest of her 83 years. Amy became Amma (“mother” in Tamil) to hundreds of children rescued from temple prostitution, loving them as the children she never had. Yet despite the burgeoning growth of her ministry, Amy was real about her personal struggle with sin and her desire to love Jesus more. Through her vulnerable and challenging writing, Amy inspired many to pursue deeper relationships with Jesus, whether on the mission field or at home. Corrie and her entire Dutch family was imprisoned for helping Jews escape the Nazi Holocaust during World War II. She was the only one of her family to survive the extermination camps. Corrie carried with her deep hurt and unforgiveness, but upon meeting a Nazi officer who had been especially cruel, she extended forgiveness and experienced a fresh measure of God’s love. She spent the rest of her life sharing her family’s story, writing books, and founding rehabilitation homes for war victims and those who had collaborated with the Nazis, living the message of peace and forgiveness to her dying breath. Now known internationally as Mother Teresa, the little nun spent the first part of her life in relative obscurity and comfort. That all changed when, at 36, she heard Jesus’ call to follow Him into the slums. Though overjoyed to serve the unlovables, Mother Teresa struggled with dark doubt and feeling estranged from God until she understood it as an opportunity to share in Christ’s sufferings. Suffer she did, and she lived out the rest of her life loving one person at a time, reaching millions of people with the love of Christ. Misunderstood by many, Madeleine never liked being called a “Christian writer,” even though her writing had significant theological undertones. The truth is that she wrestled with issues of faith and theology, and she didn’t want to settle for pat answers. Madeleine worked out the tension of living both with faith and with doubt through her writing, any many readers connected with her honest portrayals of suffering and hurt, as evidenced by her Newberry Medal-winning children’s book, A Wrinkle in Time. Madeleine proved that when we are brave enough to tell God all, He is big enough to handle it all. Ruth had always wanted to be a missionary to Tibet, but her plan met serious resistance when she fell in love with Billy Graham as a Wheaton College student. Though she embraced the life of an itinerant evangelist’s wife, she was plagued by loneliness and insecurity, feelings that pushed her deeper into the comforting arms of Jesus. As her husband rose in popularity, Ruth quietly raised their five children and supported Billy behind the scenes. Ruth never did become a missionary in the traditional sense, but she touched millions through the ministries of her husband, children, and grandchildren. Hers was a worldwide ministry that was birthed from her faithful love and service to her family. Though martyrdom was a very real possibility, Elizabeth didn’t waver as her husband and four other missionaries flew away to tell a fierce Ecuadorian tribe about Jesus. When the men were speared to death, Elizabeth was left a widow with a 10-month-old infant in a foreign country. Setting aside her grief, Elizabeth learned the tribe’s language and moved to their village to live out Christ’s message of love and forgiveness. Elizabeth worked first in Ecuador and later around the world to tell many that they are loved with an everlasting love, no matter what they’ve done. Behind the iron curtain of communism, Silvia led children’s Sunday School classes by day and smuggled Bibles into Romania by night. With an unassuming smile and her good-natured charm, Silvia deflected suspicion until she came face-to-face with the decision to deny her faith in Jesus Christ or face persecution. She chose Jesus. Silvia was imprisoned in a labor camp under the Ceausescu regime, suffering systematic brainwashing and degrading labor, but fighting to stay true to her First Love. After her miraculous escape to the US, she traveled the world despite her debilitating illnesses and recurring cancers, encouraging men and women to live on fire for Jesus no matter what the cost. These women faced the same struggles, fears, and doubts in their lives as we do, but they allowed God to use them right where they were for whatever He wanted. It was often messy, but it was always beautiful, because God’s fingerprints were all over their lives. And He will answer. He always does. Which hero of the faith do you most relate to? 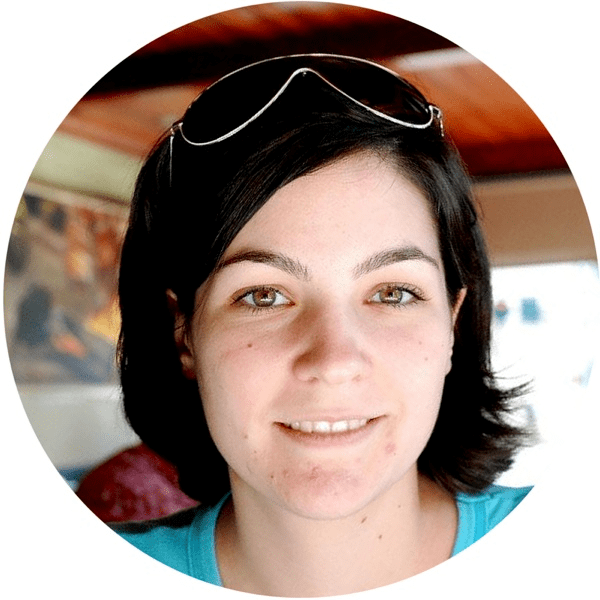 Asheritah Ciuciu is a writer, speaker, and video blogger who helps overwhelmed women find joy in Jesus. She married her high school sweetheart, Flaviu, and they have a blast raising their baby girl in the farmlands of Ohio. She blogs at OneThingAlone.com where she inspires women to sit at the feet of Jesus so they can dwell with Him deeply, love others recklessly, and live their lives fully. Come find a community of grace-filled women there.